Manila, Philippines - Sarah Geronimo's artists clashed in the top-rating "The Voice Kids" Philippines The Battle Rounds on Saturday, July 12, 2014. 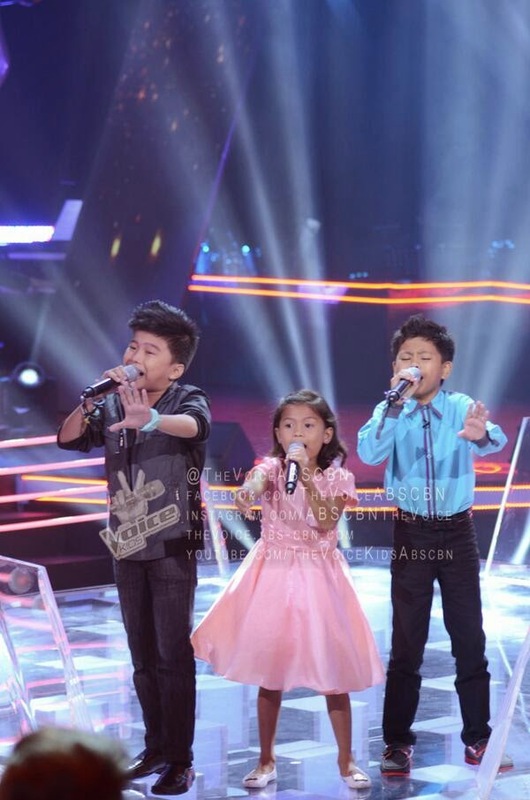 It was a battle of vocals between Lyca Gairanod, Lee Marcelino and Isaac Zamudio as they performed Regine Velasquez's popular song "Isang Lahi". Coach Bamboo chose Lyca. Coach Sarah, who made final decision also picked Lyca as the winner in the three-way battle. She will advance to the next round of the competition – the Sing-Offs. As Coach Sarah was impressed to the jukebox young artist, she said: "Lyca, you're like a superstar!". The episode of The Battles on Saturday dominates online conversations with '#TeamSarahBattles', 'Go Darren', 'A Thousand Miles', 'Mitz, 'Musika', 'Better Days, 'Triscia' and 'Neon Lights' among the trending topics.